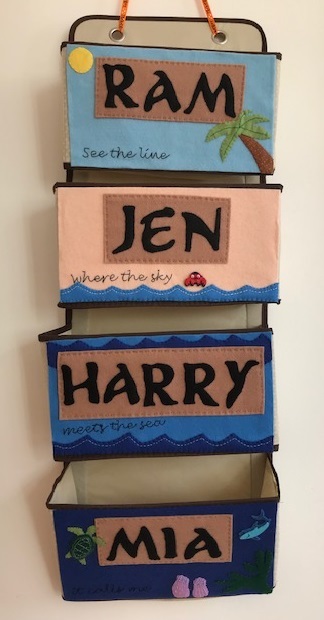 Jennifer's Little World blog - Parenting, craft and travel: Do you send postcards from your holidays? The other day I was browsing BBC news and this story caught my eye - UK's oldest postcard firm set to close. It got me thinking, and I realised that despite being lucky enough to travel regularly, I can't remember the last time that I sent a postcard. When I was little we always sent a pile of postcards from our family holidays, carefully matching the card to the recipient and travelling with a list of names and addresses to copy out. In later years my Mum was prepared with printed labels, and I think I even did the same on some of our first trips. Over the summer holidays I would receive postcards from any of my friends that had been away, and I used to have quite a collection on display - lots of them I still have! It's been ages since I last received a postcard, although my parents do send them still to the children which they love. But even though I don't write postcards to send, I do still buy them. Perhaps not as many as I would if I was buying with other people in mind, but I usually buy at least one or two to keep a a memento, and they are a nice cheap souvenir for the children to take home. The article suggests one of the reasons for a decline in sending postcards is that people can just share photographs of what they are up to on social media and that's definitely true, I love seeing what my family and friends are up to and enjoy looking through their photographs. It's a lot more personal to see a photo of someone on holiday than a random building or landscape. Although I don't tend to share a great deal on Facebook, I do write my detailed blogs about what we've been up to while we were away if anyone wants to catch up. Do you still send postcards when you go on holiday? When was the last time you received one?